Tap-tap-tap: Where is That Plumbing Leak Coming From? 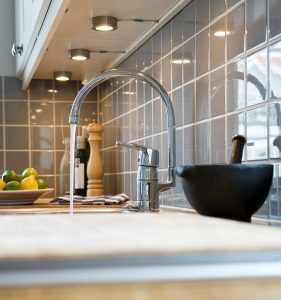 Whether it’s a “tap-tap-tap” you hear, a slow drip, or a quiet rush of water even though no plumbing appliances are running, you know it means you probably have a leak—one of the most annoying problems for homeowners to face. After all, even a “minor” leak such as a dripping faucet can waste gallons of water over time. Small leaks trick you into thinking they really aren’t a big deal—until the costs on your water bill start to add up. Bigger leaks waste even more water, of course, but can also do extensive damage to your property. Leaks that start behind walls or beneath floors and above ceilings, can develop without you even noticing them right away. 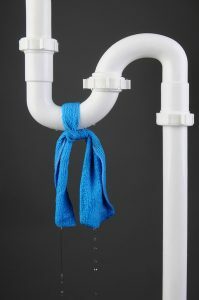 Since so much of your plumbing system is hidden from sight, and since leaks really can form anywhere within your plumbing system, it’s essential that you learn how to spot them. And once you do, the next step will be to call a professional Salt Lake City plumber. In the meantime, we’ve given you some pertinent signs to watch out for, below, which indicate it’s time for you to go ahead and call that pro. Posted in Plumbing | Comments Off on Tap-tap-tap: Where is That Plumbing Leak Coming From? What system or function do you take most for granted in your home? Chances are, your plumbing system did not come to mind, and yet, many homeowners expect their plumbing systems to function with full efficiency and effectiveness year-after-year without worrying about how to care for that said plumbing system. In fact, we’d wager that most people don’t think about their plumbing systems at all, until something goes wrong. The thing is, even if you have your plumbing system routinely maintained by a professional plumber in Salt Lake City and you keep an eye on your water usage, your plumbing system won’t last forever—eventually you’ll need pipe repairs which can turn into pipe replacement. There are things that you can do now, however, to help protect your plumbing system and potentially even help it last longer as a result (ultimately saving you money). It starts by knowing what threats your pipes face. We are right smack in the middle of what is historically the rainiest month of the year in our area, which is a good reminder that when we have heavy downpours, we also have a risk for flooding. This is especially true for homes that have basements—which is most of the homes in our area! 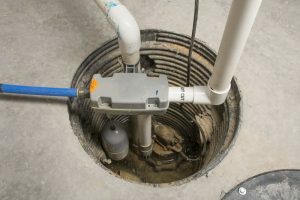 If you have areas of your home that are prone to flooding, it’s a good idea to protect them by having a sump pump system installed by a professional plumber in Salt Lake City. Otherwise, you could find yourself paying a lot of money for water damage restoration. Keep reading to learn more about these systems and how one will benefit you if you don’t already have it in place. Don’t Let Frozen Pipes Surprise You This Winter! This time of the year is known for chilly temps, falling snow, and—unfortunately—frozen pipes. And this can actually cause a good deal of damage if not addressed properly. This is because as the water in the pipes freezes, it expands and puts pressure on the walls of the pipes, increasing the likelihood of burst pipes. Dealing with leaks or ruptured plumbing is very likely the last thing you want to deal with this winter. In order to protect your pipes from such a hassle, there are a few steps you can take. Keep reading to learn more, and then contact our team for reliable Salt Lake City, UT plumbing services, whether you end up with damaged plumbing or you’d just like more information about preventive plumbing care. 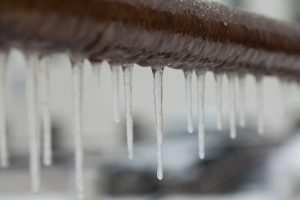 Posted in Plumbing | Comments Off on Don’t Let Frozen Pipes Surprise You This Winter! Plumbing Problems: Is It Time to Call in a Pro? There are some plumbing problems, however, that are not as apparent and require the services of a professional plumber in Salt Lake City, UT. With the right equipment and tools to detect and fix the problem, we are the team to call when you do have a plumbing problem of this nature. But how do you know when you do? Here are some signs to keep an eye out for. 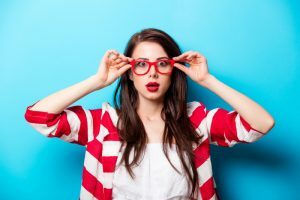 Posted in Plumbing | Comments Off on Plumbing Problems: Is It Time to Call in a Pro? What Could Happen If You Ignore a Plumbing Leak? Plumbing problems probably rank at the top of your list for annoying household issues to deal with. And most leaks are difficult to detect—in fact, the majority of homeowners don’t realize they even have a plumbing problem until it’s too late to prevent extensive damage. Leaks are among the most common plumbing problems we get calls for, and they can cause a number of issues beyond just the leak itself. If you know what to look for, however, you can tell when it’s time to call for a professional plumber in Salt Lake City, UT. Keep reading to learn more about the signs of a plumbing leak, and why you shouldn’t ignore them. 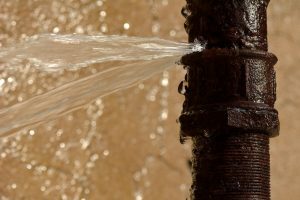 Posted in Plumbing | Comments Off on What Could Happen If You Ignore a Plumbing Leak? We go to your home, you don't come to us! © 2013–2019 Design Comfort. All rights reserved.